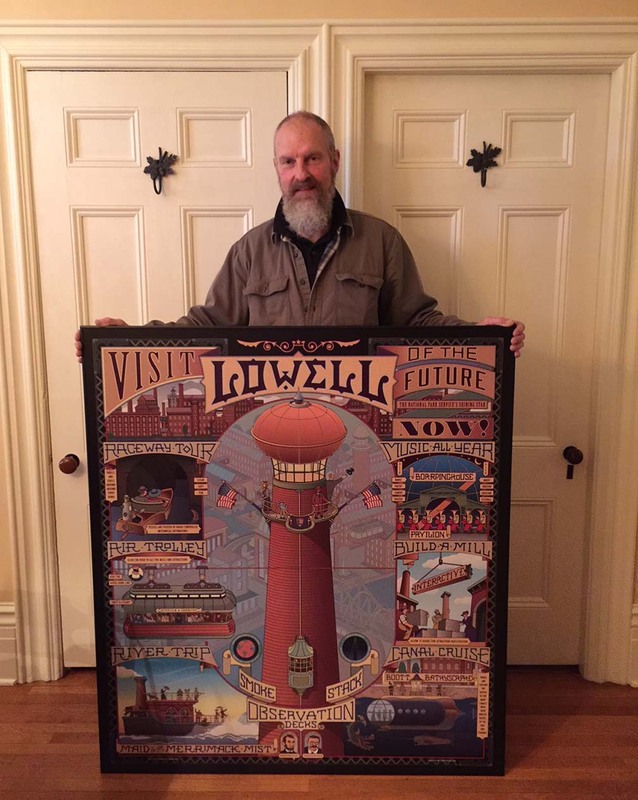 This spring I was asked to create a piece of art that will hang in an exhibition of photos and artifacts from Lowell and the Lowell National Historic Park. The show celebrates the 40th Anniversary that the park has been in Lowell. 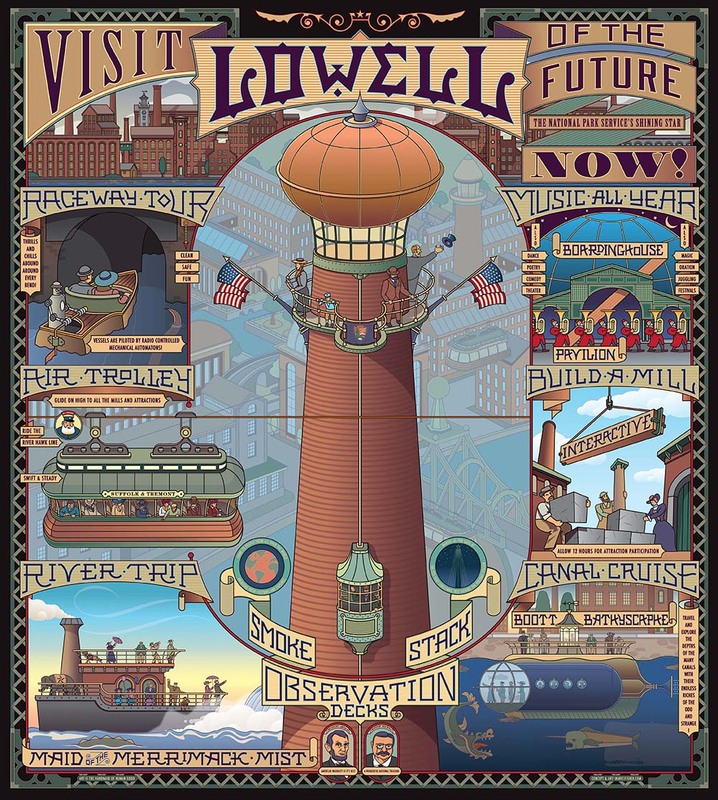 Another artist and myself were asked to separatly envision our idea of what Lowell will be like in the future. For my vision of the future Lowell I chose to look to the past, 1902 to be exact, that's when President Theodore Roosevelt visited the city. What would the citizens back then see as the future? I created a whimsical travel poster to highlight some of the attractions. The image was created in Illustrator and measures 45"x50".